UPDATE: As of December 8, 2017, this post has been updated with additional resources related to GDPR. Over the past couple of months, the acronym GDPR has been mentioned many times in the ongoing discussion surrounding data protection and compliance. GDPR or the General Data Protection Regulation is Europe’s new law for data protection. It replaces the data protection directive of 1995. The European Parliament adopted the GDPR in April of 2016 and it will go into full effect on May 25, 2018. GDPR is set to have a strong impact on the digital ad industry and digital media companies and publishers. Are you and your organization ready for the new regulation? If you don’t think you are (or even if you do, but could use more information) check below for a list of white paper downloads, articles, and videos that will help you better understand and comply with GDPR. Bython’s detailed report includes everything you need to know about GDPR – what it is, what issues it addresses, the consequences of not complying, and steps to take to become compliant. DOWNLOAD NOW. This accompanying video to Bython’s GDPR white paper, highlights everything you need to know about the new data protection rule. WATCH NOW. RES offers ways for organizations to meet the new mandates for European consumer data in this strategic guide. DOWNLOAD NOW. Bython’s accompanying video to RES’ GDPR white paper, highlights five ways businesses can ensure compliance with the General Data Protection Regulation. WATCH NOW. TechFunnel’s accompanying article to the above video and white paper. READ NOW. TechFunnel’s The Thought Funnel offers a few methods for companies to avoid a GDPR audit and perform and initiate complete compliance. WATCH NOW. Article – What Is GDPR and How Can Companies Get Compliant? TechFunnel’s accompanying article to the above video. READ NOW. In their GDPR strategy guide, Veritas gives a thorough explanation of how to develop visual Article 30 Records. DOWNLOAD NOW. Bython’s accompanying video to Veritas’ GDPR white paper highlights eight primary aspects of an Article 30 Record. WATCH NOW. In their white paper, “Power to the People,” ForgeRock tackles the subjects of GDPR, trust, and data privacy. DOWNLOAD NOW. Bython’s accompanying video to ForgeRock’s GDPR white paper looks at the General Data Protection Regulation from a business framework approach. WATCH NOW. In a guest post for TechFunnel, Vendemore CEO David Ratcliff explains why U.S. marketers should care about GDPR and what they can do about it. READ NOW. Is your company ready for one of the strictest data protection laws ever? Use TechFunnel’s GDPR compliance checklist to make sure that you are. READ NOW. 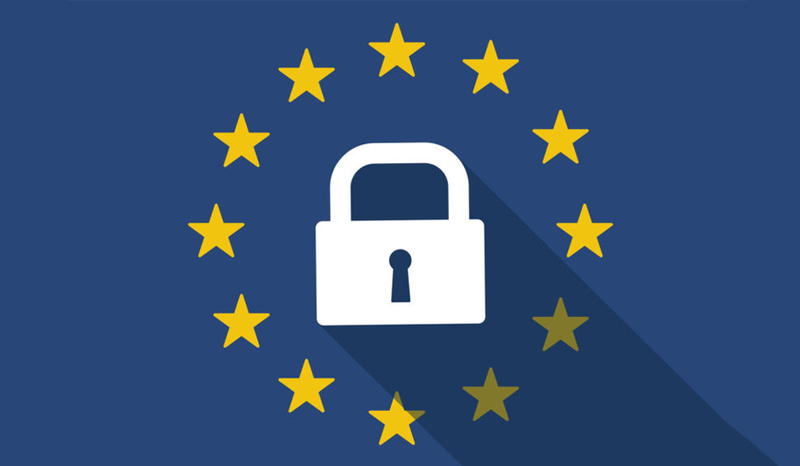 Article – What are the Consequences of GDPR Non-Compliance? What happens if you don’t comply with GDPR? This TechFunnel article highlights the stiff fines that are imposed on data processors and controllers for non-compliance. READ NOW.